There are a lot of great songwriters around this area, young and old. Yet we have not heard 90% of these songs on account of them not having an outlet to perform those songs. I have had the pleasure of sitting in on Bruce Zimmerman’s Songwriters’ Night at Port Cape and it’s been great both times I happened to be in the area. So, I thought I should take advantage of the coming winter months and host the same type deal in Poplar Bluff. 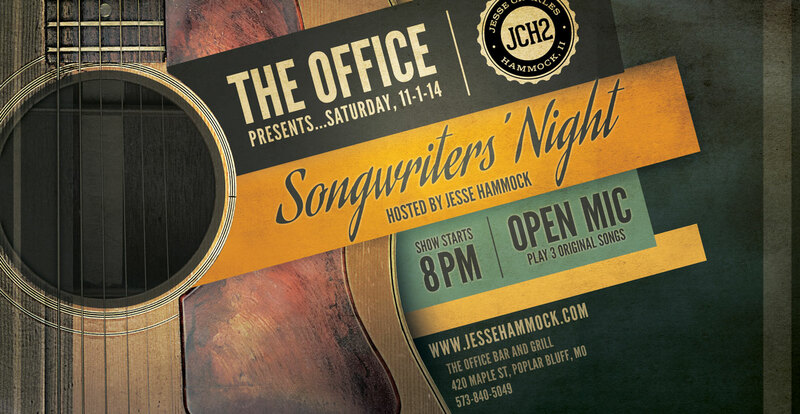 Really looking forward to this, as during the months of November, December, and possibly January, Songwriters’ Night at The Office Bar and Grill will be held on the first Saturday of every month. 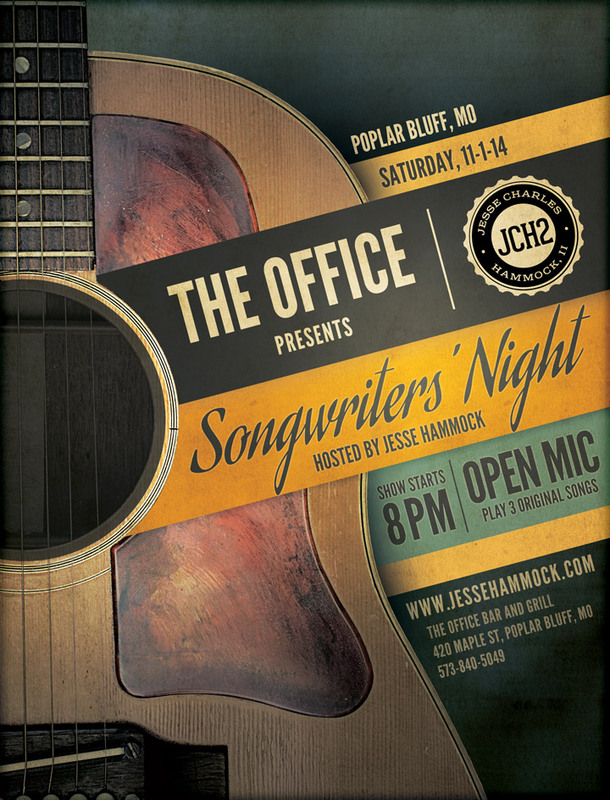 Writers can sign in and will play 2-3 songs over the course of the evening and will need to bring in their own instruments to do so. 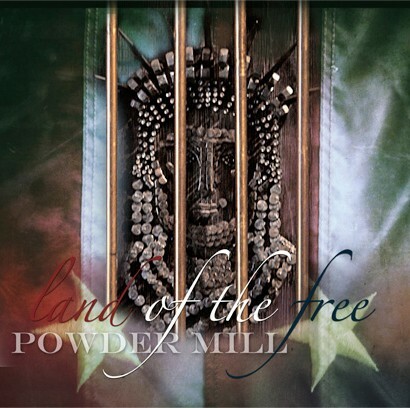 Original material only is to be performed at the show. Spread the word, fellow pickers and grinners, as this could be the start of something very cool for the music scene and for the artists with no place to hang their art. 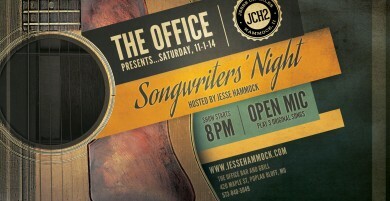 Songwriters’ Night starts at 8:00 pm.